Since I saw my first patient in 1989, I’ve refined my approach to health and healing. Probably the biggest needle mover is my growing respect for plant medicine and its role in healing. My enthusiasm for berberine is in lockstep with my personal and professional experience prescribing herbs, but also as the evidence continues to mount about their relative safety and benefits. In this series, I will feature my favorite herbal therapies that you may want to consider, depending on your issues, and discuss with your integrative clinician. Our first herb is the herbal superstar known as berberine. When it comes to re-balancing your hormones, I believe in starting first with targeted lifestyle changes, such as upgrading the way you eat, move, and think. Fill the likely nutritional gaps. If that doesn’t work, try herbal therapies, and if you still are suffering, consider bioidentical hormone therapy. In my book, The Hormone Reset Diet, I recommend berberine as you finish the 21-day protocol, when you liberalize your eating. Berberine is insulin-sensitizing, anti-inflammatory, and anti-oxidant activity will help you stay out of harm’s way, if it’s used strategically and wisely. Berberine is a naturally-occurring yellow plant extract with a long history of medicinal use in Ayurvedic and Chinese medicine. Found in the roots, rhizomes, stems, and bark of various plants including goldenseal (Hydrastis Canadensis), barberry (Berberis vulgaris), goldenthread (Coptis chinensis), Oregon grape (Berberis aquifolium), phellodendron (Phellodendron amurense, and not to be confused with the unrelated household plant, philodendron), and tree turmeric (Berberis aristata). 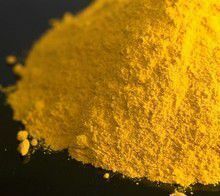 Historically, berberine’s rich yellow color made it valuable as a natural dye. What’s the best dose of berberine? For diabetes, 500 mg twice daily for three months is effective. Other studies show a benefit at three times daily. You can’t take berberine all at once because of poor intestinal uptake. As with most herbs, it’s better to take berberine in multiple doses throughout the day. The best dose is what works for you – there’s no such thing as one size fits all. Yet the dose used in many women in the clinical trials that show benefit to blood sugar, microbiome, hot flashes, and cholesterol panels is 500 mg three times per day. Please be sure to see the caution below about not taking berberine for longer than 8 weeks. 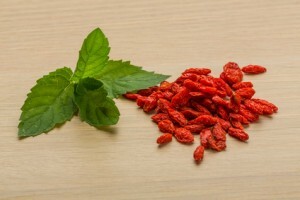 Can I take berberine in pregnancy? According to the Natural Medicine database, berberine is rated LIKELY UNSAFE because it crosses the placenta and may harm the baby. In one study, newborn infants exposed to berberine had elevated bilirubin and kernicterus. 11Chan E. Displacement of bilirubin from albumin by berberine. Biology of the Neonate 63 (1993): 201-8. Furthermore, there are limited data that berberine may cause preterm contractions. Similarly, berberine is considered LIKELY UNSAFE in nursing women as it can be transferred to your baby in breast milk. How long can I take berberine? When you see an effect of berberine on cytochromes P450, it may lead to drug-drug interactions, which should be reviewed with a knowledgeable clinician and/or pharmacist. Many supplements should be used in this way—pulsed in an 8-week cycle, and then off for some length of time such as two to four weeks, then restarted if symptoms aren’t resolved. Want to learn more about supplements and how they can help you detoxify, lose weight, and feel great? Be sure to sign up to receive word from me when I offer our next 21-day detox right here. 2. ↑ Cicero, A. F., et al. “Antidiabetic properties of berberine: from cellular pharmacology to clinical effects.” Hospital Practice (1995) 40, no. 2 (2012): 56-63; Zhang, Y., et al. “Treatment of type 2 diabetes and dyslipidemia with thenatural plant alkaloid berberine.” The Journal of Clinical Endocrinology & Metabolism 93, no. 7 (2008): 2559-2565; Yin, J., et al. “Efficacy of berberine in patients with type 2 diabetes mellitus.” Metabolism 57, no. 5 (2008): 712-717; Zhang, H., et al. “Berberine lowers blood glucose in type 2 diabetes mellitus patients through increasing insulin receptor expression.” Metabolism 59, no. 2 (2010): 285-292; Wei, W., et al. “A clinical study on the short-term effect of berberine in comparison to metformin on the metabolic characteristics of women with polycystic ovary syndrome.” European Journal of Endocrinology 166, no. 1 (2012): 99-105; Dong, H., et al. “Berberine in the treatment of type 2 diabetes mellitus: a systemic review and meta-analysis.” Evidence-Based Complementary and Alternative Medicine (2012); Pang, B., et al. “Application of Berberine on Treating Type 2 Diabetes Mellitus.” International Journal of Endocrinology (2015). 3. ↑ Zhang, H., et al. “Berberine lowers blood glucose in type 2 diabetes mellitus patients through increasing insulin receptor expression.” Metabolism 59, no. 2 (2010): 285-292. 4. ↑ Wei, W., et al. “A clinical study on the short-term effect of berberine in comparison to metformin on the metabolic characteristics of women with polycystic ovary syndrome.” European Journal of Endocrinology 166, no. 1 (2012): 99-105. 5. ↑ An, Y., et al. “The use of berberine for women with polycystic ovary syndrome undergoing IVF treatment.” Clinical Endocrinology 80, no. 3 (2014): 425-431. 6. ↑ Hu, Y., et al. “Lipid-lowering effect of berberine in human subjects and rats.” Phytomedicine 19, no. 10 (2012): 861-867.)4. Anti-microbial. Berberine helps treat or prevent fungal, parasitic, and bacterial infections. On gut flora or microbiota, berberine has a favorable effect on gut flora or microbiota, which may be one mechanism of its glucose-lowering and anti-inflammatory results. ((Han, J., et al. “Modulating gut microbiota as an anti-diabetic mechanism of berberine.” Medical Science and Technology 17, no. 7 (2011): RA164-RA167. 7. ↑ Dong, H., et al. “The effects of berberine on blood lipids: a systemic review and meta-analysis of randomized controlled trials.” Planta Med 79, no. 6 (2013): 437-446. 8. ↑ Li-Weber, M. “Targeting apoptosis pathways in cancer by Chinese medicine.” Cancer letters 332, no. 2 (2013): 304-312; Caliceti, C., et al. ” Potential Benefits of Berberine in the Management of Perimenopausal Syndrome.” Oxidative Medicine and Cellular Longevity 2015 (2015). 9. ↑ Yin, J., et al. “Berberine improves glucose metabolism through induction of glycolysis.” American Journal of Physiology-Endocrinology and Metabolism 294, no. 1 (2008): E148-E156; Hwang, J., et al. “AMP-activated protein kinase: a potential target for the diseases prevention by natural occurring polyphenols.” New Biotechnology 26, no. 1 (2009): 17-22.
factor 1α plays a critical role in PCSK9 gene transcription and regulation by the natural hypocholesterolemic compound berberine.” Journal of Biological Chemistry 284, no. 42 (2009): 28885-28895; Pisciotta, L., et al. “Nutraceutical pill containing berberine versus ezetimibe on plasma lipid pattern in hypercholesterolemic subjects and its additive effect in patients with familial hypercholesterolemia on stable cholesterol-lowering treatment.” Lipids in Health and Disease 11 (2012): 123. 11. ↑ Chan E. Displacement of bilirubin from albumin by berberine. Biology of the Neonate 63 (1993): 201-8. 12. ↑ Guo Y, et al. Repeated administration of berberine inhibits cytochromes P450 in humans. European Journal of Clinical Pharmacology 68, no. 2 (2012) : 213-7.